This week, the National Book Foundation announced its Shortlists for the 2016 National Book Award: five titles in each of four categories. Our Finalists: FICTION: The Association of Small Bombs by Karan Mahajan The Underground Railroad by Colson Whitehead NONFICTION: Blood in the Water by Heather Ann Thompson YOUNG PEOPLE’S LITERATURE: The Sun is Also a Star by Nicola Yoon The winners will be announced at the annual National Book Awards dinner on Wednesday, November 16 during which the Foundation’s Medal for Distinguished Contribution to American Letters will be bestowed upon Robert A. Caro, the singular, #1 bestselling, Pulitzer Prize, National Book Award-winning author of The Power Broker and The Years of Lyndon Johnson biographies. The award is given annually to an author who has enriched our literary heritage over a lifetime of achievement. Our congratulations to Mr. Caro, his Knopf and Vintage publishing teams, and to Nicola Yoon, Heather Ann Thompson, Karan Mahajan, Colson Whitehead, and to their editors and publishers. Congratulations to the National Book Award Winners and Finalists! The 2015 National Book Award winners were announced last evening. Today we celebrate the winners and the finalists, all of whom wrote groundbreaking, touching, beautiful books. 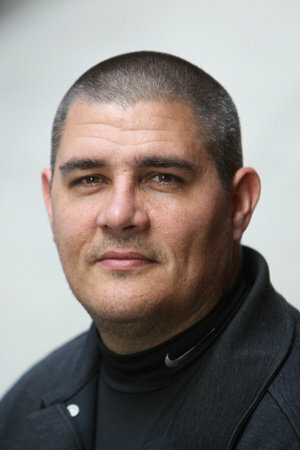 Adam Johnson, author of Fortune Smiles, a collection of stories, won the prize for Fiction. National Book Foundation: In the process of writing your book, what did you discover, what, if anything, surprised you? Johnson: Because I research a lot, the surprising joy of discovery is always central to my writing. I love to fashion entire worlds in my stories—these I try to adorn with details gleaned from the real world and the emotions of life lived. In researching the title story, for example, I was both troubled and inspired to hear North Korean defectors describe the regime-sponsored crimes they had to participate in. It wasn’t until I’d delivered hundreds of UPS packages in the Louisiana heat that I knew where my character in “Hurricanes Anonymous” would sleep that night. And it’s not until you descend to the lower levels of a Stasi prison that you begin to understand what must exist at the heart of a story like “George Orwell Was a Friend of Mine.” Start reading an excerpt here. 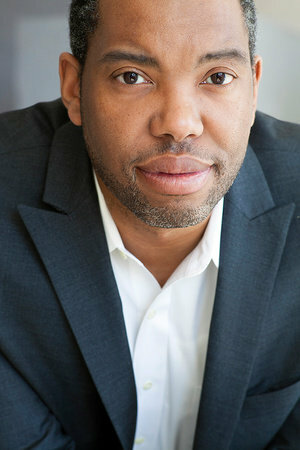 Ta-Nehisi Coates, author of Between the World and Me, won the prize for Nonfiction. National Book Foundation: In the process of writing your book, what did you discover, what, if anything, surprised you? Coates: I discovered how hard it was to make the abstract into the something visceral. My goal was to take numbers and stats and make people feel them with actual stories. It was to take scholarship and make it literature. Start reading an excerpt of the book here. See Coates read in a video here. 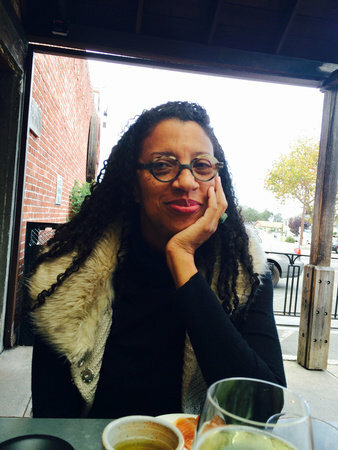 Robin Coste Lewis, author of Voyage of the Sable Venus, won the prize for Poetry. “Robin Coste Lewis’s electrifying collection is a triptych that begins and ends with lyric poems considering the roles desire and race play in the construction of the self. The central panel is the title poem, “Voyage of the Sable Venus,” a riveting narrative made up entirely of titles of artworks from ancient times to the present—titles that feature or in some way comment on the black female figure in Western art. Bracketed by Lewis’s autobiographical poems, “Voyage” is a tender and shocking study of the fragmentary mysteries of stereotype, as it juxtaposes our names for things with what we actually see and know” – National Book Foundation Be sure to check out the winning books below, and discover your next award-winning read! Head to nationalbook.org to browse all the finalists.